“Yuugetsu Kaikyo” (夕月海峡), released Apr. 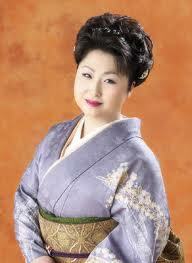 4th 2012, had been a while since she last released a song which was “Strait Enka”. The work of her charm, crystal-clear falsetto, gives an essence which cannot be replaced to the song. Lyrics are written by Akiko Shimoji, a first match up with Soari. The song is written by the person, whom with no exaggeration, knows to all details of Saori’s charm in her voice, composer Kouji Tokuhisa, bringing you the greatest version of “Strait Enka”.